While many details about Project Coast have not been made publicly available, one particular covert operation that has been partially documented is Operation Barnacle. 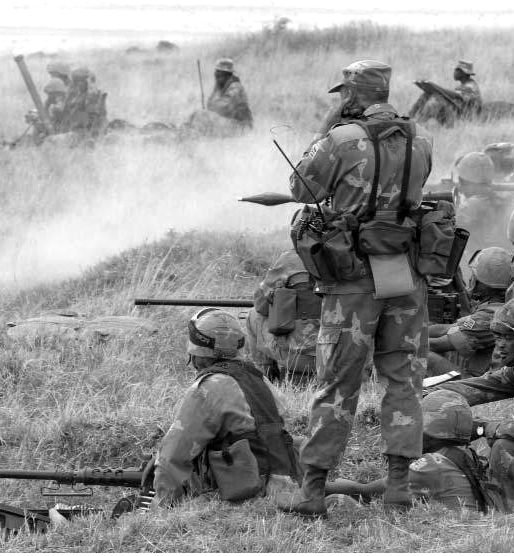 Operation Barnacle was established in the early 1980’s and involved members of the South African Defence Force and former Rhodesian security forces. The primary goal of Operation Barnacle was to eliminate the enemies of the Apartheid Government. A number of these covert assassinations were carried out by utilising a variety of toxins and chemicals developed by Wouter Basson and other Apartheid scientists. The majority of victims targeted by Operation Barnacle were members of the South West African People’s Organization (SWAPO) in Namibia. It is estimated that the number of deaths of prisoners of war and those who were considered “security risks” were well into the hundreds. Johan Theron, who testified at Wouter Basson’s criminal trial, said that he was ordered to inject his victims with overdoses of muscle relaxants tuberine and scoline. This caused death by suffocation. All bodies were disposed of by throwing them out of aircraft into the sea. Other victims of Operation Barnacle included members of the ANC, members of the United Democratic Front, individuals in the South African Council of Churches and its associated organizations and even members of the SADF who threatened to reveal the workings of the Apartheid Government. Operation Barnacle was just one of the many covert operations initiated by the Apartheid Government under Project Coast. But how many similar operations were there? How many deaths were the Apartheid Government responsible for? And what other atrocities did they commit.